Assets which are jointly owned, transfer directly to the surviving owner, therefore are not subject to the probate process. This type of jointly-owned assets are known as joint ownership or joint tenancy with the right of survivorship. Unfortunately, many people who intended to add another owner to the title of an asset die before they have the opportunity, leaving those assets subject to probate. 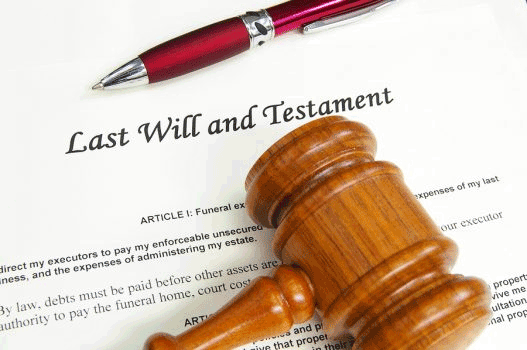 Should both owners die at the same time, the asset must go through probate before being transferred to legitimate heirs. In jointly held assets, ownership transfer occurs immediately when the first owner dies. You may have wondered whether it is truly worth the effort to avoid the probate process which settles and distributes property according to the terms of a will. Probate is governed by state laws, and falls under the jurisdiction of probate court in the state the decedent lived in at the time of his or her death. Personal property, as well as real estate which is located in the state of residence, falls under the probate process and is overseen by the court. There are certain non-probate assets which pass outside of a will, including property owned jointly with right of survivorship. This would occur when a husband and wife had a joint bank account and one of them died. In such an instance, all rights to the bank account transfer to the surviving spouse with no need to go through probate. Life insurance and retirement benefits which pass to beneficiaries outside a will are also considered non-probate assets.